Brian De Palma has never been shy about giving his full, honest opinion. Especially to fellow filmmakers. But Spielberg wasn’t the only person in the talented inner circle that De Palma ran in during the 1970s (they were known as the Movie Brats) who was on the receiving end of his harsh opinions. In an encounter that has become a Hollywood legend, De Palma didn’t think much of the original “Star Wars,” either. George Lucas’ Movie Brats mates were the first people to see “Star Wars,” including Martin Scorsese, Steven Spielberg, John Landis, and De Palma. After watching an early cut of the movie — which included little to no effects and didn’t yet have the John Williams score — the Brats got together to tell Lucas what they thought. Spielberg told Lucas it was going to be a hit, but De Palma thought differently. 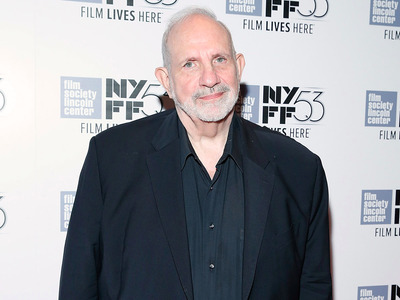 Looking back now at his alleged insults, De Palma has a different recollection. Kind of. Brad Barket/Getty(L-R) Brian De Palma and George Lucas. He did, however, admit he didn’t like the opening crawl. De Palma admits the harsh criticism didn’t always go down well for some. Though he said, as far as he knows, Lucas never took offence to his remarks about the movie. But one story has it that Lucas’ wife at the time, Marcia, confronted De Palma. 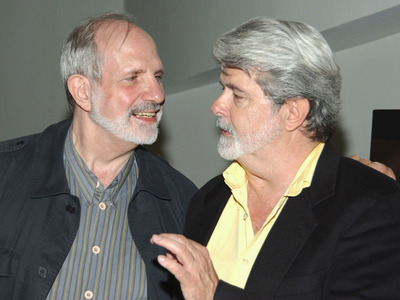 Success washes away all sour grapes in Hollywood, and if Lucas was ever mad at De Palma, that sure ended quickly, as the original “Star Wars” went on to make over $775 million worldwide in its theatrical run and gave birth to one of the most lucrative movie franchises of all time. “De Palma,” a documentary on the filmmaker, opens in theatres on Friday.